BEIJING, China, December 7, 2015 (ENS) – Electric car sales in China are expected to reach 220,000 to 250,000 this year, surpassing the United States to rank first worldwide, according to the latest projection from the China Association of Automobile Manufacturers (CAAM). The good sales news on zero-emission electric cars comes as Beijing today issued its first red alert for air pollution under a four-tier emergency response system created in October 2013. The red alert, the most serious level, will last from 7 a.m. on Tuesday to noon on Thursday. The city issued an orange alert, the second-highest level, on Saturday. Officials said the air pollution that paralyzes Beijing and surrounding areas, most recently last week, is caused by vehicle exhaust emissions and the burning of coal in heavy industries and for municipal heating. 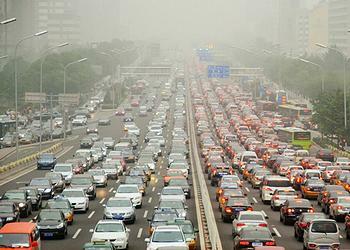 To battle the smog, China is determined to support sales of electric vehicles with subsidies and other incentives. 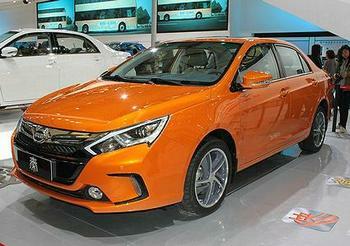 According to statistics made available to media by CAAM, the production and sales of new energy vehicles in China in October reached 36,494 units and 34,316 units respectively, increasing 4.2 times and 5.0 times over the previous year. Worldwide electric cars sales will hit 600,000, and the figure for the U.S. market is estimated to be 180,000, said Xu Yanhua, deputy secretary-general of CAAM. Although China has achieved rapid development in electric vehicles, quality instead of quantity should be the focus for the sustainable development of the industry, Xu told an industry conference. In particular, vehicle safety and the quality of batteries should be carefully examined and supervised, she warned. China’s new energy vehicle sector has seen explosive growth in the past two years, due to the central government’s support policies, including subsidies and tax cuts. In the first 10 months, sales of electric cars surged 290 percent year on year to 171,145, CAAM data showed. 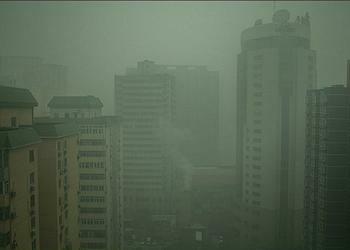 This new projection comes at a time when a new round of choking smog is blanketing Beijing and neighboring regions. It will linger through Thursday, the local weather bureau says. The smog has reduced visibility to three to five kilometers Sunday in Beijing, Tianjin and the central and southern parts of Hebei Province, the Beijing Municipal Meteorological Bureau said in a statement. China’s Ministry of Environmental Protection said Friday the dominant pollutant is PM2.5, particles with a diameter smaller than 2.5 micrometers. The weather bureau said precipitation and strong gales on Wednesday night and Thursday would disperse the pollutant. Schools will be closed for the duration of the smog event. Chinese Environment Minister Chen Jining said Sunday the government would punish agencies or personnel who fail to initiate smog emergency response plans in a timely manner. Local environment protection agencies, especially those in Beijing, Tianjing, Hebei, Shandong, Henan and Shanxi which are constantly haunted by air pollution, should examine their emergency response measures and reflect upon deficiencies, said Chen at an emergency meeting to cope with the smog. The Ministry of Environmental Protection has deployed inspection teams to regions with heavy pollution to ensure emergency plans are being launched in time, to monitor and control pollution sources, and to crack down on vehicles that fail to meet national emission standards.